Here's an item to share over the dinner table in case you hit the awkward silent seconds.​​​​ Or need a school report? This should fit the bill. McALLEN – ScanTech Sciences Inc. broke ground in April 2017 with their first Electronic Cold-Pasteurization (ECP) food treatment center. The new Rio Grande Valley ECP Center is an ideal location because approximately 78 percent of truckloads of fresh produce came through the region in 2016. ECP is a patented technology that accelerates electrons into an electron beam to be scanned across food on a high-speed conveyor belt. ​The 100,000-sf center is scheduled to open during fourth quarter 2017 and become operational by the first quarter 2018. 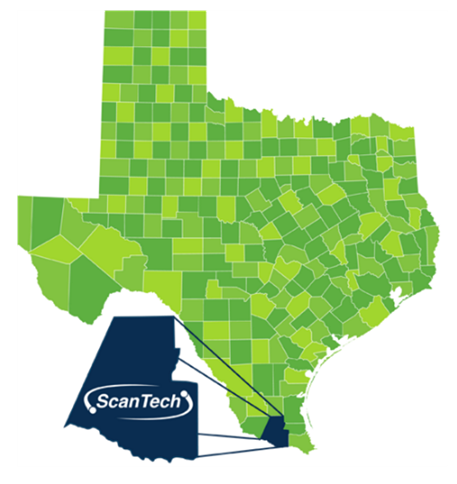 ScanTech Sciences has estimated costs of $7.5 million according to the Texas Department of Licensing and Regulation. Located at 6800 International Pkwy., the facility will treat produce travelling to and from the United States and Mexico. ​​McAllen Economic Development Corporation CEO Keith Patridge said, "The ScanTech Sciences facility not only brings 175+ jobs—it also brings a new era of postharvest technology." According to The Monitor, ​ScanTech's trade partners will use the Pharr International Bridge. ​Check out ScanTech's website here​!